The inspiration to start Rail Explorers originally came from a scene in a Korean soap opera. 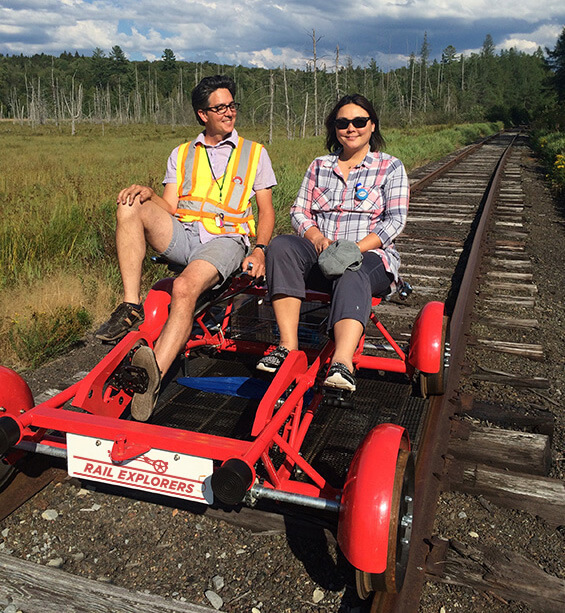 Back in September of 2012, Mary Joy Lu (who started Rail Explorers with her husband Alex Catchpoole) was watching one of her favourite K-Dramas and became intrigued when she saw a strange contraption being pedalled along the railroad tracks. Mary Joy was so excited by this extraordinary looking rail bike that within 10 days she was on a plane to South Korea to meet with the designer and manufacturer of the vehicles. Mary Joy, Alex and other Rail Explorers employees travelled back to Korea in 2015 to learn more about the unique business. Rail Explorers was then able to bring a fleet of explorers to the USA. This was the first time these rail bikes had been seen anywhere in the world outside of South Korea. Since that day more than 100,000 people have enjoyed Rail Explores tours in the Adirondacks, Delaware, Rhode Island, Las Vegas and New Yorks Catskill Mountains. Stay tuned for more news as the team searches for more exciting rail locations around the USA and the world! 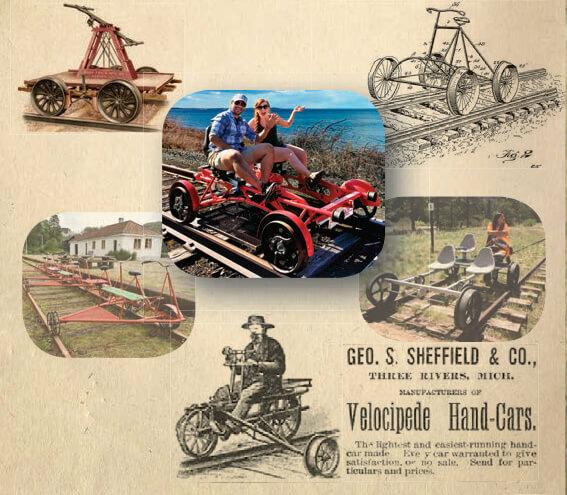 Pedal powered rail vehicles date back to at least the 1850’s, when maintenance workers used hand-cars and ‘rail bikes’ to travel along the tracks. They were used to transport crew and materials for track inspection and repairs. Today, there are a variety of designs in use around the world: the ‘Draisine’ and 'Velorail' of Europe; ‘rail bikes’ with aluminum frames and rubber wheels; and modified road bikes with an outrigger wheel. Our custom built Explorers are the latest development of this technology, and are the global leader in safety, design and ease of operation.